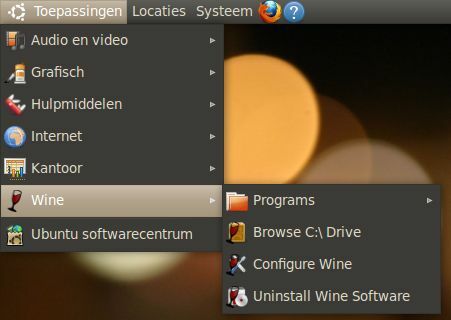 Install Wine on your Linux computer. Also in "/home/user_name/" a directory called ".wine/" exists. Now we will tweak Wine for usage with Radio Mobile. 1. In winecfg select the Libraries tab, then select oleaut32 from the 'New overide for library' drop down list and click the 'Add' button. 2. 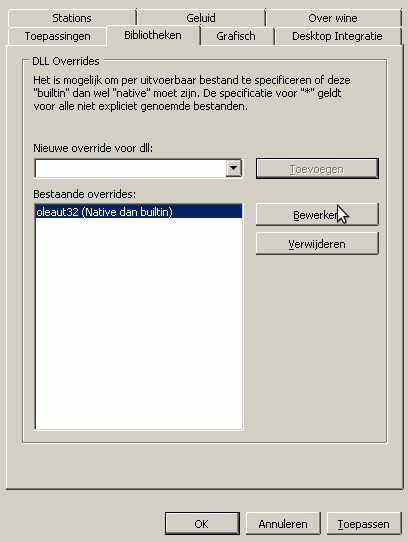 Click on oleaut32 in the Existing overrides list and click the 'Edit' button. 3. In the resulting 'Edit Override' dialog box, select 'Native (Windows)' from the pick list and click 'OK', then OK again to exit winecfg. The most obvious symptom of not making this change is that you will generate blank maps, but the Radio Link dialog shows the correct terrain cross section. 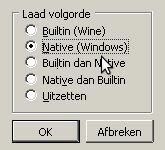 This technique sets Wine to use the native oleaut32.dll for all applications that don't have specific Wine settings configured. Refer to the Wine Documentation for how to set up settings that apply to only one application.